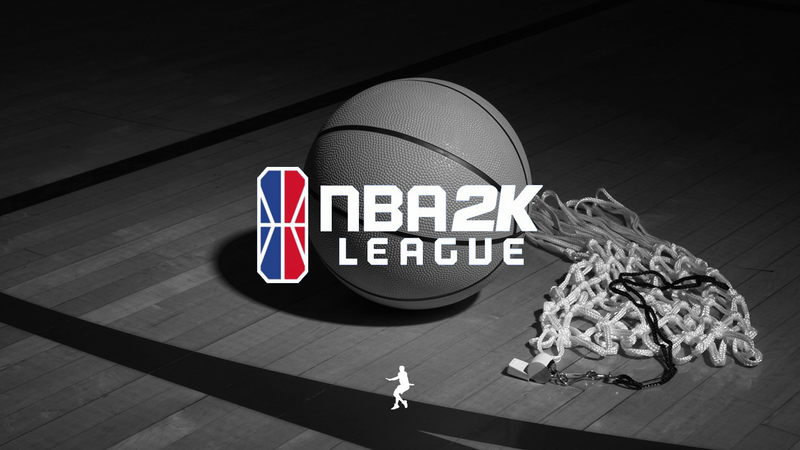 A late-developing issue of the NBA 2K League combine has been players attempting to circumvent their bad stats by “dashboarding” out of games where they play poorly. The idea is simple: if you leave a combine game for any reason, the game doesn’t count toward your win-loss record and your statistics that game—points, rebounds, assists, everything—aren’t recorded. Players have taken advantage of this by going to their console’s dashboard in the middle of a game and closing their NBA 2K18 app so that they can basically erase a bad game from their overall combine stats. It’s a loophole in the system that has the NBA 2K community in somewhat of a witch hunt, where those with monstrous averages through 40 games or so are being accused of the dashboarding trick. Screenshots of well-known players quitting out of games, whether or not they dashboarded or quit for a more legitimate reason, are also being posted on Twitter. The community is up in arms, team managers have to answer numerous questions a day and the league itself now has to step in and threaten punishment for players with more than a few quits on their record. One of the most talked about issues of all this is that players who have lagged out and weren’t trying to exploit the system may be penalized as well. Fortunately, when asked about that, Director of Esports for Monumental Sports & Entertainment Grant Paranjape assured DIMER that the league will be able to know the difference between lag outs, quits and dashboarding. But even then, what’s to stop someone from simply unplugging their ethernet cable or disconnecting from their Wi-Fi to make it look like they lagged out? You can catch some people who do this, but you can’t catch all of them. What’s a simple way to solve this? Changing how the system records and displays stats entirely. Instead of listing stats on a “per game” basis, like points per game or assists per game, list them per a certain number of minutes. NBA analysts use stats like “points per 36 minutes” (you can find the stat on any Basketball Reference page) to compare the stats of players who don’t play the same number of minutes every game on average. Want to compare a player with 30 minutes a night and a player with 10 minutes a night? Extrapolate their “per game” stats to “per 36 minutes” to give a clearer picture. There’s context to those numbers, sure, but you get the idea. So why not list combine stats as “per 24 minutes” since combine games are four six-minute quarters? It’s not the same use as the NBA version, but it works here. Currently, stats from quit games don’t count for the player that quit. This is designed so that if a player lags out 30 seconds into the first quarter their numbers don’t take a hit because they have a full game of 0 points, 0 rebounds, 0 assists and so on. This would allow the league to change it so that the game records your stats for every minute played, not every game, meaning that you can now count stats of games that players lag out or quit out of. Not only does this still protect players who legitimately lag out of a game, it prevents players from purposely quitting to save their numbers. That is to say if you have five points, five rebounds and two assists at the end of the 3rd quarter, those 18 minutes will still count toward your overall stats even if you quit. Likewise, if you lag out 30 seconds into the game, you’ll hardly be punished. You also have to remember some players lag out late into games when they’re putting up good stats. This system would save those people as well from having a good game go to waste. This both eliminates any incentive for dashboarding or quitting and can bring a little more peace to the community and keep players from turning on each other. Is this something that can be retroactively applied to this combine? That’s not really our area of expertise to determine whether that’s technically possible. And who knows whether the combine system is something the league uses again in the future. But the league will have to decide at some point how they’ll add more players to the league. If they think the combine is still the best system, this solution could go a long way toward protecting the integrity of it. Agree? Disagree? Have an idea of your own? Let us know on Twitter at @DIMER2K!